The Fujimedic brand is well known in Japan for designing health and wellness massage technology. 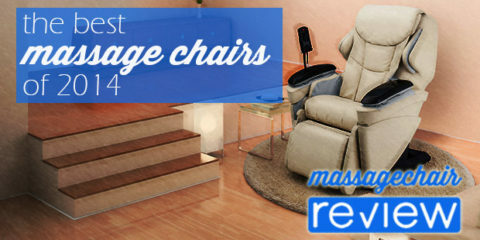 The company has been around for over 20years and was started by some of the brightest minds in massage technology. Their products are primarily found in Japan, and US shoppers now have the privilege to own one of their high quality products here in the US. The Fujimedic Kumo blends these age old design philosophies with what might be considered the gold standard in lifelike massage technology. 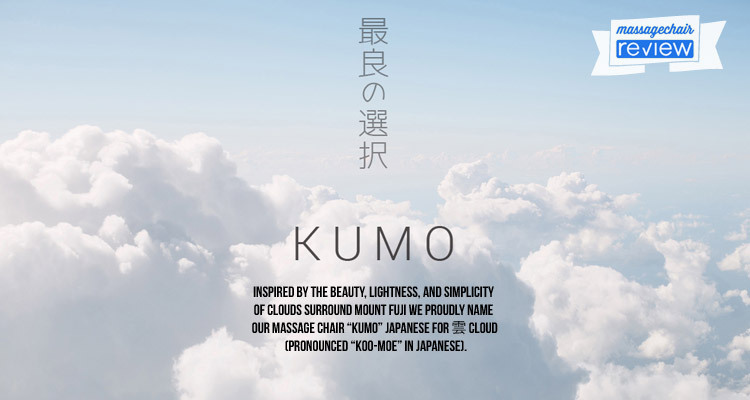 Kumo which stands for cloud in Japanese signifies the proud heritage and enlightenment the Japanese put into their health and wellness products. 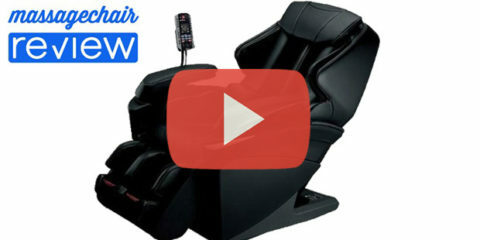 Below we do a full review on the Fujimedic Kumo’s ground breaking massage chair technology and features. All great massage chairs start with their massage roller technology. The Fujimedic Kumo is no different in offering a cutting edge 4DL-track massage roller design. The roller track extends 44 inches and will massage from the head to the lower glutes on most users. The smoothness of the massage roller is a clear sign of the quality and most users will have no issue fitting comfortably into this chair. The massage roller not only provides a smooth and firm massage experience but it also gives users full control with 4levels of intensity adjustments. 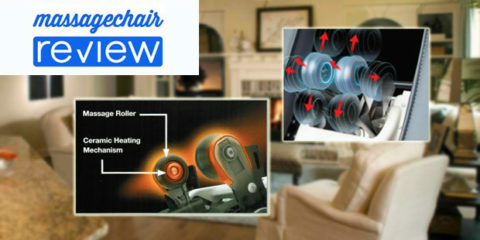 The rollers can easily be controlled by the touch dial on the arm, as well as through the touch screen remote. This allows someone to find the perfect intensity within the 3 inch range that these massage rollers can travel within. 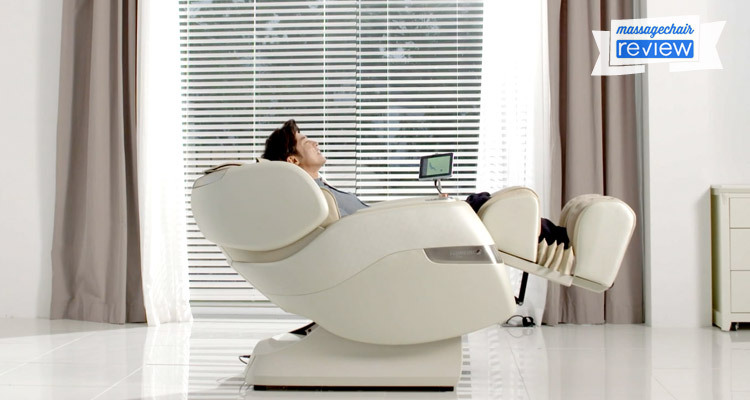 This chair allows for someone to have a soft or very deep massage experience. To enhance this experience even further the Kumo has heated rollers. 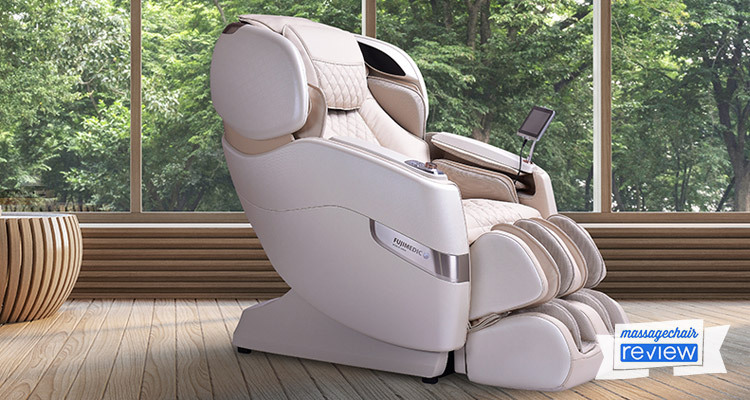 This technology that was originally pioneered by one of the inventors of massage technology, Panasonic, is now available in edge modern design. Now that we understand how advanced the massage roller is we’ll take a look at the other massage technology. The Air compression massage in the Kumo is thorough and meditative.The squeezing and pulsing of the air compression increases bloodflow while embracing the body in a smooth and complimentary experience. The major benefit of the Air Compression is how it can massage the body where the massage roller can not reach. This magnifies when the design compliments the massage programming so well as to immediately relax the user, as well as work out tight muscle tissue, and stretch different parts of the body. 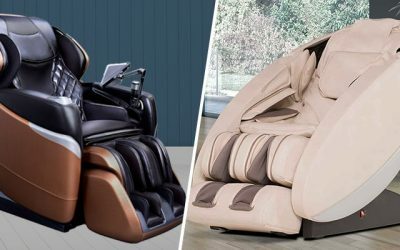 There are 64 airbags throughout the chair that work in a symbiotic unison, and at times are just as effective as the kneading massage. One of the most unique features of the Kumo is its intelligent Ottoman. Most massage ottomans move in one fluid motion and have limited massage abilities aside from the air compression. The Kumo breaks the mold by allowing the upper portion of the ottoman to travel independently to massage different portions of the calves and behind the knees. To offer not just a therapeutic experience but a healing experience, the Kumo also has heated Knee massage, to help relieve stiff joints and increase blood flow and pain relief. In the spirit of full control a user can move this into the perfect position to massage the lower legs. The foot massage is designed around ancient reflexology methods and offers a light to deep tissue massage experience. The foot rollers work perfectly with the air compression massage to knead, stretch, and rejuvenate the feet. Staying true to form the Kumo incorporates age old movements and therapy into its massage programming. 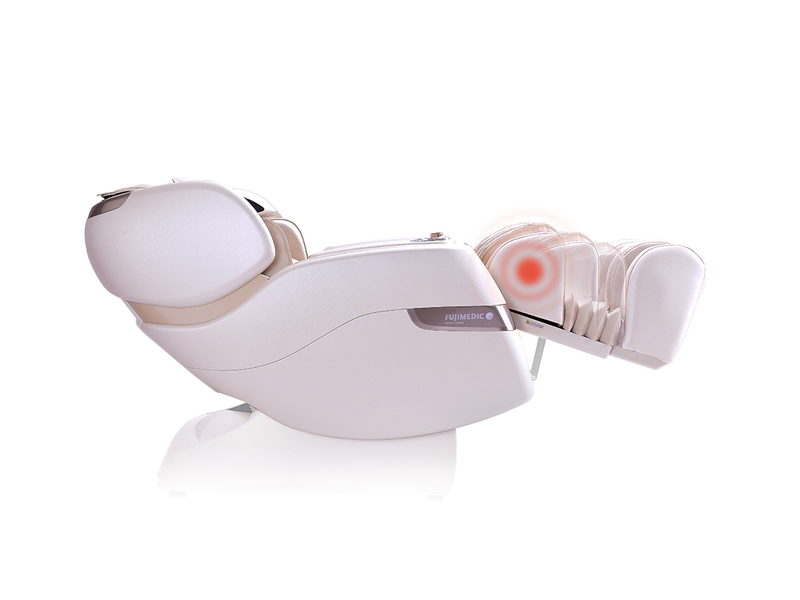 Playing on the strengths of its 4dmassage roller and comprehensive compression and heat therapy, the chair delivers a unique spa experience with the touch of a button. There are 12automatic programs to choose from which draw inspiration from massage techniques found around the world. The beauty and ease of the remote makes getting started with an automatic program easier than ever. The intelligence of the remote will also remember your most used programs and keep those on your home screen for future use. The power of the Fujimedic Processor allows for the most complex massage experiences to come to life. The Fujimedic Kumo was designed with the user in mind.Borrowing inspiration from many different luxury experiences the Kumo has modern lines around a plush upholstery experience. 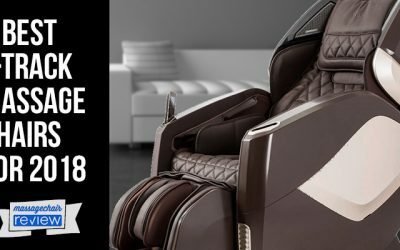 The inside of the chair is designed to hug and embrace the user to offer an instant feeling of relaxation.The snug fit also helps the massage chair do a more effective job applying the different massage methods to a person. The chair is also designed with a proud pearl exterior that leaves it feeling light and inviting in any home setting. The chair is also designed to fit into smaller areas and take up less room withspace saving technology. The Fujimedics Kumo only needs 5 inches of wall clearance in the home. User Controls that Give You a Perfect Map to Relaxation Where X Marks the Ahhh. 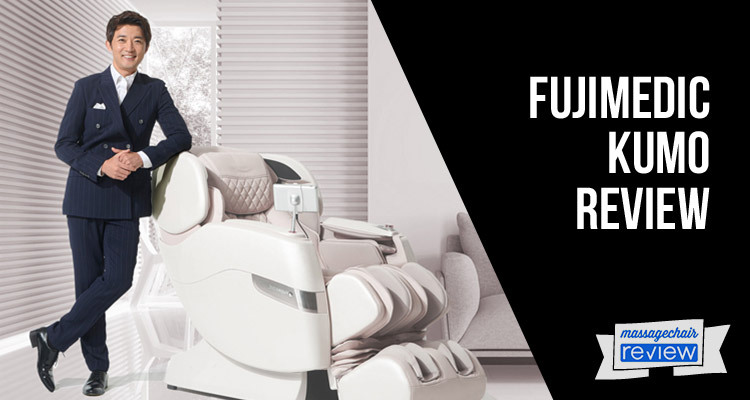 Nothing is left to desire when you’re operating the Fujimedic Kumo massage chair. The touch screen offers the best possible experience a person can hope for. The touch screen remote is easy to see, easy to access, and easy to use. All of the options can be accessed in under a few seconds and can be customized to suit your preferred language. You can operate the chair in English, Vietnamese, Korean, Chinese, and of course Japanese. To make the experience even better there is a touch dial to make quick changes on the fly. 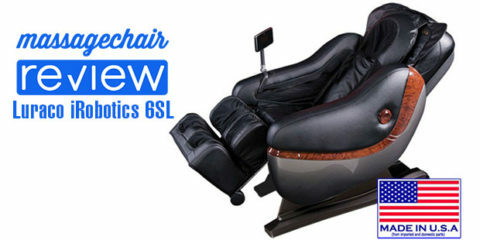 You control the roller depth, turn the chair on and off, activate programs, recline the chair, and extend the ottoman. Finding your path to relaxation has never been easier. The Fujimedic Kumo wouldn’t be at the top of its class if it didn’t come with all the bells and whistles. 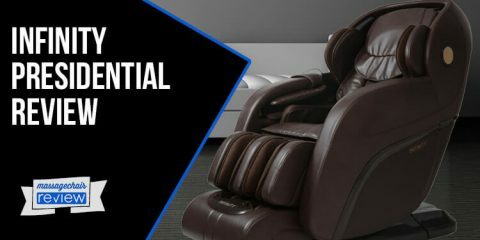 The beauty of modern day massage chairs and cross over designs like the Fujimedic Kumo, is they offer everything we love about technology, with the western emphasis on relaxation. In this case this relates to the Zero Gravity Recline and the Chromotherapy relaxation lighting. The Zero Gravity position puts the body into a neutral position that helps ease your body and mind. This position is scientifically proven to help reduce stress on the body and mind. 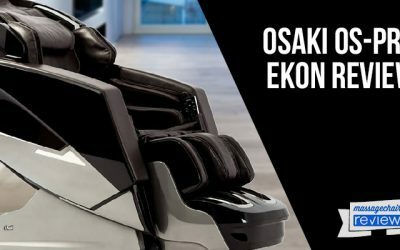 We are so excited for shoppers to finally be able to experience such an exciting chair with the quality you can expect from Japanese products. 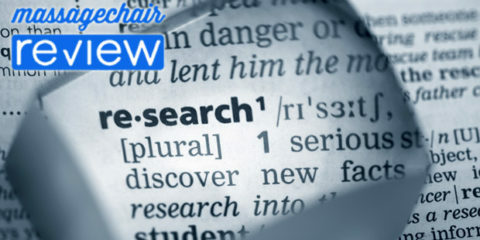 There are a lot of options available for shoppers and werecommend checking out some of our information. 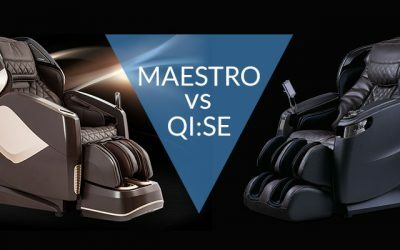 If you have questions on whattype of chair might be best for you check out our L-track vs 3D massager –What’s Best? 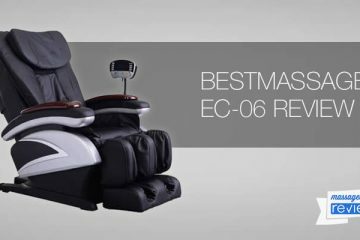 If you’re interested in reading more about other L-track stylemassage chairs check out our Top 7 L-track massage chairs. Of course we’re always excited to hear what our readers think so please leave your questions or comments below. 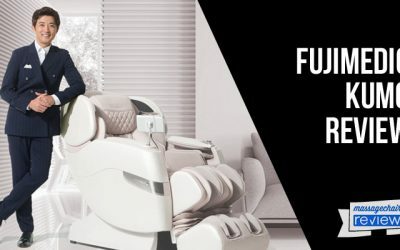 Shop the Fujimedic Kumo now at The Massage Chair Experts™.